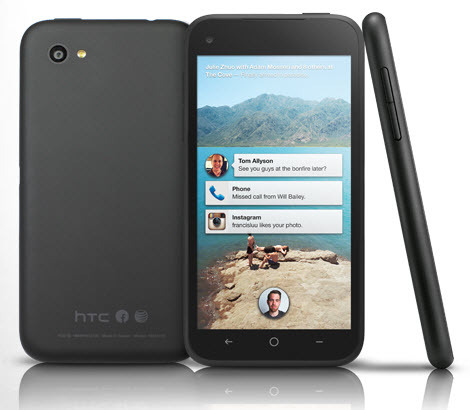 HTC First is the first Android smartphone launching with Facebook Home built in as its core skin. The device has a 4.3-inch 720p display, a 1.4 GHz dual-core Qualcomm Snapdragon 400 processor, 16GB of storage and 1GB of memory. No doubt that it is only a middle-range cellphone but as Facebook Home is firstly built-in it, then it can be a smartphone with uniqe features. If you would like to know how to watch DVD movies on HTC First, just go through how to convert DVD to HTC First tutorial below and you can make it in the easiest way. How to convert DVD to HTC First step by step? Step 1. Choose your DVD drive as "Source". Click button to load DVD titles in the program: chapters, time, titles and the frame size will be listed in order. Step 2. HTC First supports video playback for MPEG4, H.263, H.264. No doubt that HTC First would support MP4 playback. Here we choose "Normal" and "MP4" will be selected as output video format. Step 3. Click to start conversion. Wait for a while the conversion would complete and just need to transfer the video file from target folder to target device - HTC First.